Before we knew about the significance of DNA, we knew about genetic diseases and that some people could inherit them. In those days, DNA sequencing wasn’t an option, so scientists relied on another method of identifying people at risk of developing or passing on a genetic disease: family history. Buried in the many stories that are passed down through families are possible clues—hints that indicate the potential presence of a disease causing (or predisposing) gene in a family. For example, if you know of multiple people in your family who were diagnosed with breast or prostate cancer, that could be a clue that members of your family may have inherited variants in their DNA that predispose them to cancer development in these (and possibly other) organs. In modern times, making note of clues like this can help professionals identify individuals who might benefit from genetic testing. Keeping track of a family’s medical history has been a major tool in preventative healthcare for more than 80 years. In the early 1900s, our understanding of genetics and heredity was still in its infancy. We did know that some diseases run in families, and describing which ones could be passed on from generation to generation became a major area of focus in medicine. In fact, many genetic conditions, like Lynch syndrome, were first described in medical case reports based on family history collections. Early research like this helped discover patterns of disease inheritance and warning signs that indicate a person may be at risk of developing a disease—ultimately paving the way for modern-day genetics. Although DNA sequencing is a powerful way to identify individuals at risk of developing a disease, collecting family history information is still an important practice. In fact, the Centers for Disease Control (CDC) advises that people collect family history information whenever possible. In this process, it helps to know what questions to ask and what details should be noted. When a person gets a positive result from a medical genetic test, indicating a diagnosis or an increased predisposition to disease, they are often encouraged to tell their relatives. This is because genetic diseases tend to run in families, and other relatives may have also inherited an increased risk for disease. 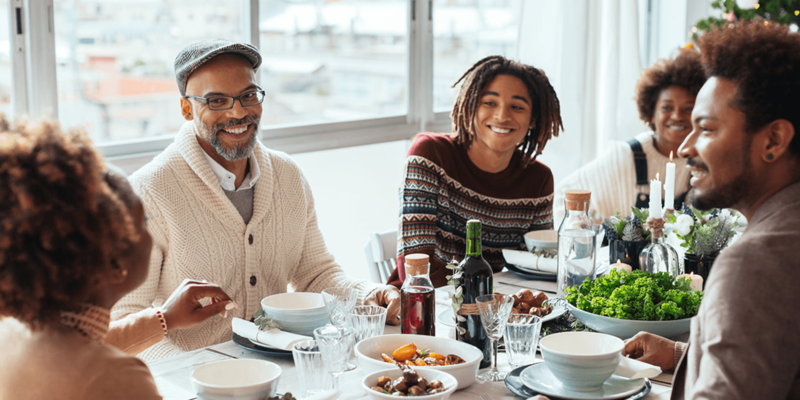 Discussing your results with your family may help relatives seek testing and thereby learn about their own potential risks. For help doing this, genetic counselors can be a useful resource in thinking through which relatives to contact and how to go about informing them. The National Society of Genetic Counselors offers a free directory with contact information to over 3,300 genetic counselors (US and Canada). To start, it’s useful to know if anyone on either side of your family has had a major medical condition, at what age it was diagnosed, how it was diagnosed, by whom it was diagnosed, and how it was treated. Then consider expanding these questions out to additional family members. Drawing family trees can help you keep track of this information (trees can be compiled by using tools like the one found in Mayo Clinic GeneGuide™). Ultimately, the predictive value of family history information for any individual person depends on the size of the family history—big families with lots of generations of data provide more opportunities to detect the presence or absence of a disease predisposition. The level of detail provided also influences how helpful family history records are. For example, descriptions of a family member having been diagnosed with “uterine cancer” is more informative than describing it as some form of “gynecologic cancer.” Other helpful details include descriptions of environmental factors like where the relative lived, what their job was, and facts that may explain why an illness developed. Once you have this information, the next step is to discuss it with a healthcare professional. Nowadays, DNA sequencing and a detailed family history are often used together to help people understand their chances of developing or passing on a disease. For many people, keeping track of their family’s medical history is simply a precaution, and there are often no clues that raise concern. But for some, it can be life-changing. Research has shown that several types of cancer and heart disease could be detected and, in some cases, even prevented if those at risk are identified early. A detailed family history may help do exactly that.